Thanos: Destroyer of worlds, thicc dad, and currently the most in-demand man in television. The question of just how Marvel’s televisual output will react to Avengers: Infinity War’s universe-rattling ending has been pinging around pretty much since the movie dropped—especially since Agents of SHIELD danced so very close to incorporating it this season. But now we have an answer, for better or worse. For the most part our stories will take place BEFORE Thanos clicked his fingers. A lot of that has to do with production and when we are telling our stories vs. when the movies come out. So hang in there. It’s likely that none of these shows will end anywhere near as close as SHIELD did, which wrapped up its latest season between the Black Order wreaking havoc in New York and the battle of Wakanda in Infinity War. 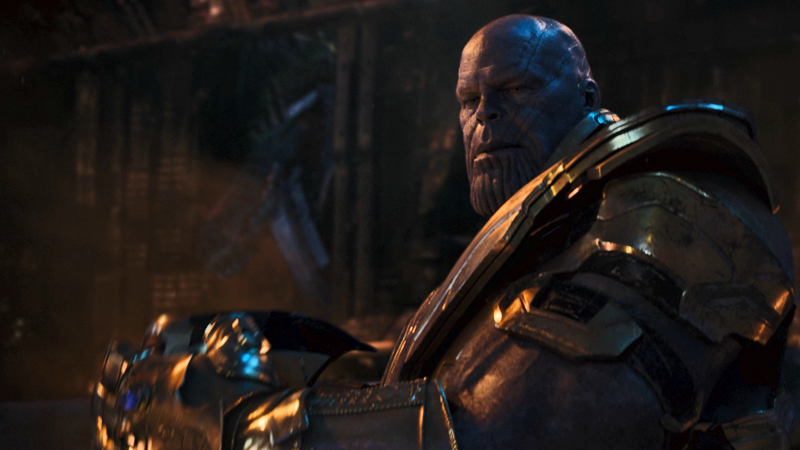 But still, there will be no dusty ramifications, because Thanos will have yet to have snapped the snap heard ‘round the world... for like, the next year or so. While that might be a bit of a bummer for the more bloodthirsty among us who are aching to see at least half of the casts of these shows suddenly turn into itty bitty bits, it’s a choice that makes sense in the end, just as it did for SHIELD to ultimately not go in that direction at the end of season five. Marvel’s shows have been at their best when they focus on their own thing rather than how they all tie into events of the big movies—mainly because when they do make an attempt, it’s so half-hearted that it might as well have never happened. Yes, it breaks the Marvel Cinematic Universe a little when we don’t get to see such earth-shattering events transcend the blockbusters they take place in and ripple out into the rest of this world. But maybe at this point we should just accept that it’s broken already, and let the shows and movies go their own way without a care in the world as to what the other half is up to. If Thanos vanishing half of all life can’t even make an impact, what could be the thing that would tie these two disparate sides together? Is It Me or Did It Just Get a Bit Dusty in Here?